Dave is from Delco and Dave is for Delco. Dave is a truck driver and a Teamster, and he sees how much people are hurting. Dave rose through the ranks of his union from truck driver and steward to President and Principal Officer of the Teamsters Local 312. He and his wife Susan are lifelong Delco residents and raised their two grown children in the heart of the community where they still live. He knows how bad it's been for families like his – wages are stagnant or slipping, our schools are getting less and less funding, our property taxes are going through the roof, and Delco-based businesses are asked to shoulder a bigger share of the burden. At the same time, big banks and giant corporations get sweetheart deals and tax breaks from the state at every turn. Dave is running for State Representative to return the power to the people who go to work every day right here in Delco. He will make sure that the corporations whose profits are growing by double-digits pay their fair share so that we can stop paying more than we can afford. He'll fight to get our schools the funding they deserve from the state so our kids can get a great education while lowering our property taxes. And he'll put the families and small businesses in Delaware County first, instead of the ultra-wealthy with their armies of lobbyists. 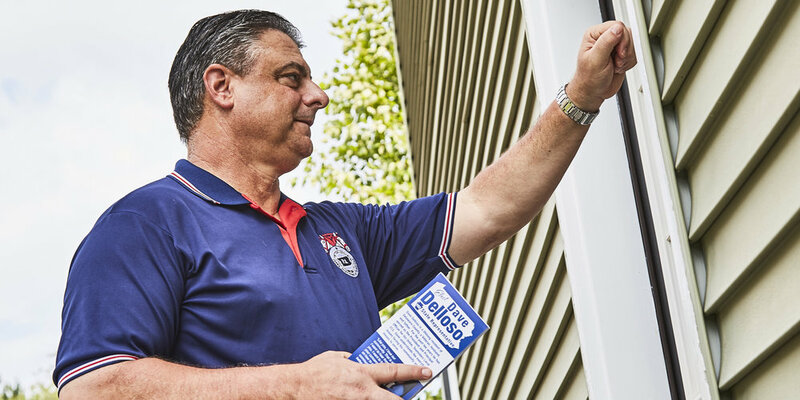 Find out more about Dave's passion for Delco families and his vision for the future of Pennsylvania. Dave's campaign is funded by donors just like you. Please take a minute to make a contribution to support our campaign.